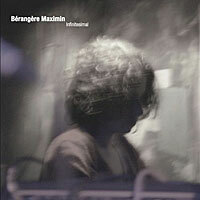 Berangere Maximin is one of those rare birds: a female composer of experimental music. Let’s throw on our binoculars and take a quick look at her life. Calling Paris France home, she has been studying and working on electro-acoustic music under the guidance of the INA-GRM’s Denis Dufour since way back in the Gay ’90s. Wait a minute, wasn’t that the 1890s? I mean the Grunge ’90s! Following her debut on Sub Rosa, No One Is An Island, her second album on that label is called Infinitesimal. Although that word is really hard to spell, the flowing music contained on this disc of the compact variety is really easy to listen to–unless you’re an uptight narcissistic control freak bureaucrat who just got hit in the eye with a whiffle ball, then diagnosed with a brain tumor. You are currently browsing the Arcane Candy weblog archives for August, 2013.